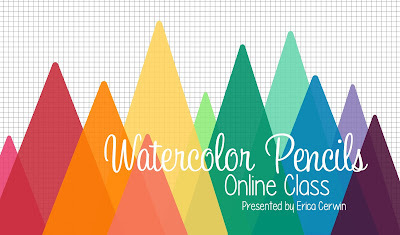 Tutorial Bundle Design Team Blog Hop! 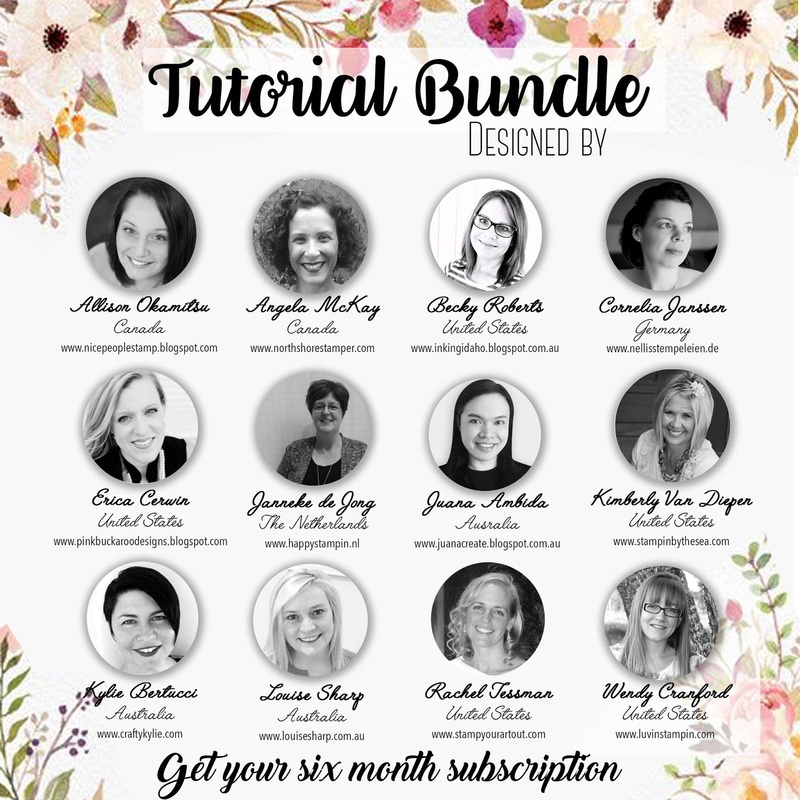 We've got a new team and a new six month round of tutorial bundles. 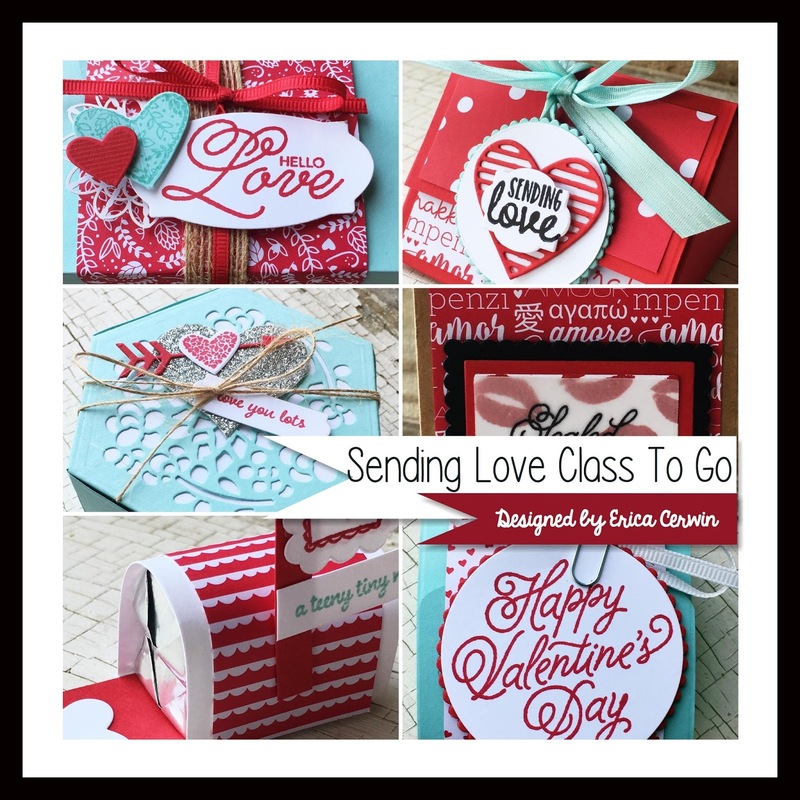 We're kicking it off by showcasing projects designed with the same products we use in the February Tutorials. My tutorial focuses on the Sale A Bration Avant Garden stamp set so I designed another set of projects to show just how much I love this set! I'm not going to lie- When I first saw this set, I turned the page. And then I played with it. And I saw all the beautiful things on Pinterest using it. I love the flower shown here and I really love the sentiments! You can completely customize your flowers with different color combos and arrangements. Here, I used it with the That's The Tag bundle. I made a beautiful tag to go along with the Baker's Box Thinlit. I stamped the cardstock all over to create a Pattern Paper look before I cut out the Baker's Box. Pool Party is the color and I used the Pool Party Satin Ribbon to close it up. The card I created to go along with the box is also Pool Party. I embossed it with the Petal Burst Embossing Folder and added some Pool Party ink splatter with an Aqua Painter. The Stitched Shape circle is cut from the A Little Foxy DSP. I stamped the flower to match the box and then added the sentiment on a strip of Vellum. A couple of Pool Party Epoxy Stickers and some Black Metallic Thread finished off the card. One thing you can't see in the pictures is the little bit of Wink of Stella added to the flower. It really makes it stand out! I actually made a video to show you how to make both projects! As I mentioned, my project in this month's February Tutorial Bundle features the Avant Garden stamp set. It uses different colors and is actually a fun "fancy" project! Here is a sneak peek to entice you! 1. Free with a $50 purchase in February. 3. Purchase the PDF for $15 or subscribe and get the sixth one free! Click the picture below to get all the details! Alright, would you like to see MORE sneak peaks and more fun coordinating projects? 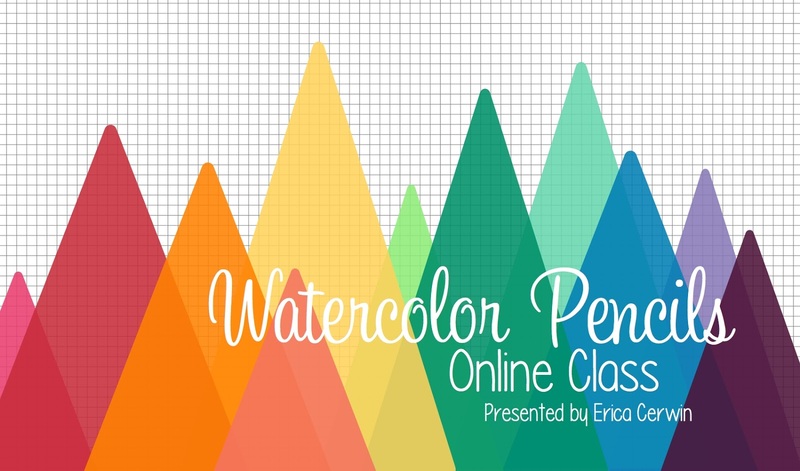 Hop along to the other designers and see what all you have in store for you in this month's Tutorial Bundle! Erica Cerwin YOU ARE HERE! All new Tutorial Bundle Subscription begins in February! 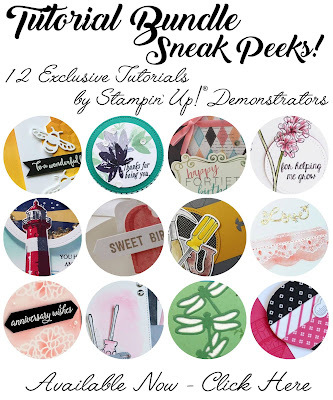 Subscribe now to be the first to receive the 12 tutorials delivered to your inbox! Details can be found her. Me encanta ,los colores muy lindos! Love the color combos on this project and card. Oh my goodness! 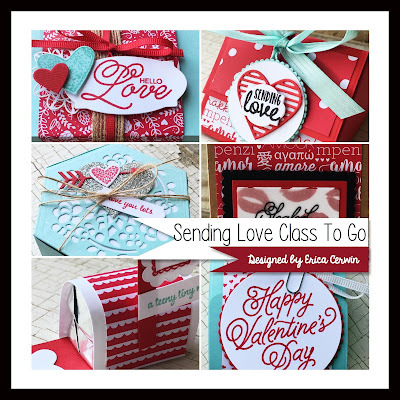 Love your box and card!!!! Class to Go- Behind the scenes!